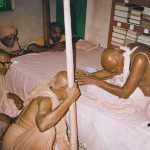 For the first time ever, two women initiated into the Brahma-Madhva-Gaudiya Vaisnava Sampradaya have published a popular book that emphasizes the bhakti tenets in two of the world’s most revered yoga texts: the Bhagavad Gita and Yoga Sutras. 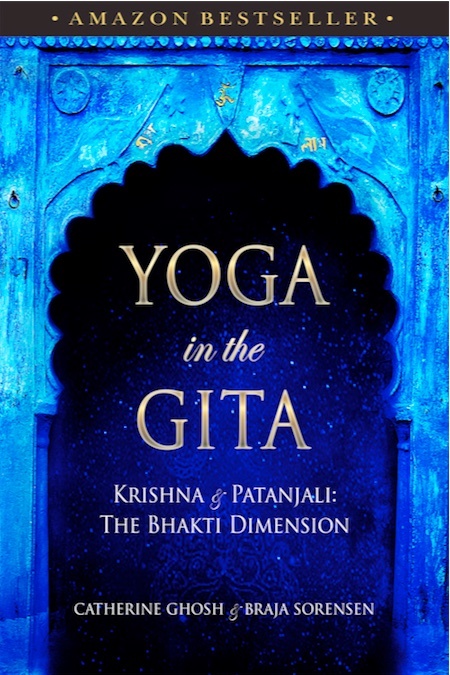 Last month, Braja Sevaki Dasi (Braja Sorensen) and Krishna Kanta Dasi (Catherine Ghosh) released Yoga in the Gita: Krishna and Patanjali—The Bhakti Dimension, with Golden Dragonfly Press. The book illuminates parallels between these two texts in a practical, philosophically rich and entertaining manner, while adhering to the interpretations given to the original Sanskrit texts by ancient yoga tradition itself. Yoga in the Gita became an Amazon bestseller in its category in the first week. 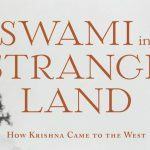 The book emerged from a series of online articles that Krishna Kanta and Braja Sevaki published in a blog of the same name that they started in 2012 under the prompting of Bob Weisenberg, former yoga editor of Elephant Journal, a popular online magazine. 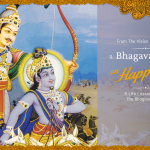 The Yoga in the Gita blog generated hundreds of thousands of views due to a grateful readership of primarily yoga teachers, yoga practitioners, bhaktas and bhaktins. It was due to the repeated requests of the blog’s followers that the book was eventually born. 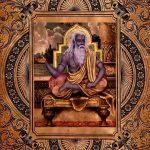 While yoga studios around the world require that their teachers-in-training study the Bhagavad Gita and Yoga Sutras before becoming officially certified yoga teachers, they often resort to translations of these texts that obscure the valuable bhakti yoga insights originally found in these texts. Seeking to fill this gap in yoga circles, the authors drew from two essential Gaudiya translations in their work: Bhagavad-gita As It Is by A.C. Bhaktivedanta Swami and Bhagavad Gita: The Beloved Lord’s Secret Love Song, by Graham M. Schweig, also known as Garuda Das, whose work on bhakti theology was authorized by his guru, A. 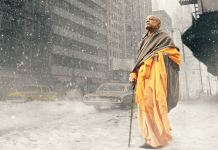 C Bhaktivedanta Swami. Yoga in the Gita accomplishes this with modern and often humorous approaches to self-development, while offering inspirations for living a yogic lifestyle in the 21st century. 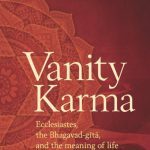 Divided into three sections, the book makes for a pleasant read: The first is dedicated to the ten definitions of yoga that Krishna gives in the Bhagavad Gita. The second section, Foundations of Yoga, offers an innovative treatment of the yamas and niyamas. The third and last section, Entering an Internal Practice, covers the last six limbs in Patanjali’s astanga yoga system. In today’s world where the physical aspect of yoga is over emphasized, Yoga in the Gita promises to elevate the readers’ understanding of yoga as so much more than just body postures and exercises. 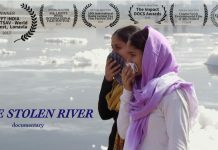 It is a refreshing and unique look at what yoga is from a bhakti perspective, and how it touches all of us, in so many aspects of our lives.